I provide high-quality endurance sport coaching by applying current coaching best practices, up-to-date sport science, and frequent communication to position each athlete to achieve their individual performance goals. I believe in personalized coaching and give each athlete a unique plan customized to their specific needs. My number one goal is to make sure you are a successful athlete. Each athlete defines success differently, and we work within your definition. I work with triathletes, runners, and cyclists, including those doing ultra endurance events (Ironman, 50k+ runs, and ultra-distance cycling). 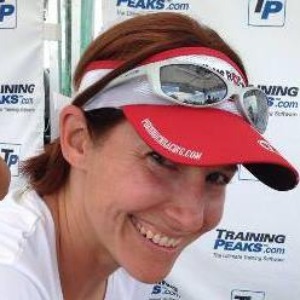 I am a USA Cycling, USA Triathlon, as well as a TrainingPeaks certified coach. Since 2008 I've been working with athletes to help them achieve results they thought not possible. Ironman-distance triathletes: from first time "happy to finish" to Kona Qualifier. Half-ironman-distance triathletes: New to the distance and IRONMAN 70.3 Worlds Qualifiers. Olympic/Sprint triathletes: USA Triathlon Age Group National Championship qualifiers to first timers, and the reigning Peru National Champion. Recreational cyclists wanting to get fitter and ride strong century rides. Crit and Road Race specialists. Athletes going the Ultra-distance at events such as the 24-hours of LeMans, Leadville 100, Leadville Stage Race, and the Tour Divide. Ultramarathon runners from the 50k to 100+ mile/multi-day events. We value dedication, commitment, perseverance, enthusiasm, and open communication. If these values resonate with you, you could be a great fit for Team NEO! Highly recommend power on the bike and GPS for pace on the run, as well as a heart rate monitor. Success. Coach Nicole Odell has been notified of your message. To hire Nicole Odell as your coach, select the coaching service that is right for you.